WELLESLEY – P.J. 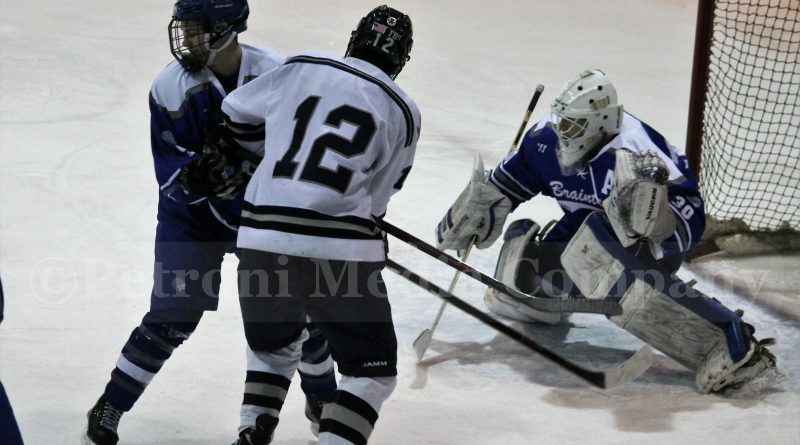 Conzo scored the lone goal Saturday night in the Framingham Flyers 1-0 win over Wellesley High’s boys ice hockey team at Babson College. It was a scoreless tie after the first period. Conzo scored the lone goal of the game in the second period. Jared Shimelman had the assist. Senior goalie Alex Moore registered the shut out victory. Framingham is now 4-6-6 with the win. The Flyers are 4-1-4 in the Bay State Conference, under head coach Will Ortiz. With the loss, Wellesley is now 10-1-4 overall and 6-1-2 in the Conference.